Social media originally started as a tool for friends and family to keep in touch, and has now moved also to the business community for Companies to engage discussions with their customers, partners and others organizations. 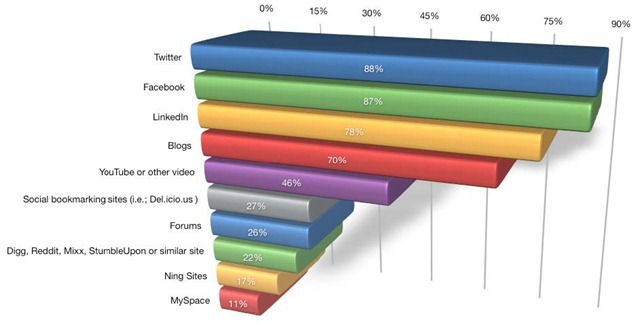 Large Enterprises, as well as SMB in a smaller scale, are adopting Social Media as a new wave of Marketing. Marketers have high expectation of Social Media, often and wrongly perceived as a free or low cost, easy to launch and deploy, not resource consuming tactic and they could be disappointed by the results and return in investment if they do not use best practices; It could even be a failure and damage your brand or business if not well executed and then abandoned after an unsuccessful try. 3- Clarify Goals & Business Objectives: Talk or Listen, raise awareness, engage discussions, generate leads, drive sales & revenue, foster loyalty. 14- Track and measure qualitative, quantitative and competitive results using analytics tools, document lessons learned and communicate monthly reports, understand the impact and do what it takes to improve your ROI. Social Media are platforms for interactions and relationships, not just a branding or advertising platform, it represent a fundamental shift on the way we communicate and make decision, so take advantage of it, build et develop new relationships and partnerships. 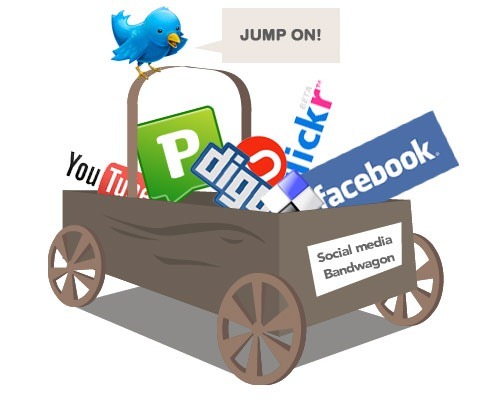 Jump on The Social Media Bandwagon, Start Talking & Listening, Start Engaging Discussions with Social Media. Next-Gen Email Marketing Pocket Guide: 10 tips to optimize your email marketing. Email Marketing seems to be easy but is actually a tricky and difficult tactic to implement fully effectively and successfully. It is a powerful tool but also a risky one that could damage your brand if used inappropriately. In order to overcome the annoyance of spam, Email has become the most personal medium of marketing communication and advertising. 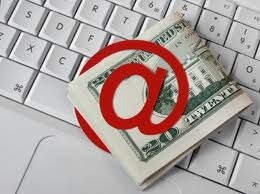 Email marketing can be used for multiple purpose and media: campaigns, newsletters, product launch, promotion or discount, invitation to an event, marketing collateral or technical paper, Press Release or Announcement, Customer or Partner success story, Industry Analysts studies, awards, contests, surveys, just to name a few. Email marketing can be a very effective and profitable tool to: improve your brand, raise product awareness, engage contacts, build relationship, generate leads and to increase any type of business, as long as you use the best practices. a- create and maintain a high quality list or database, possibly use a Customer Relationship Management (CRM) software; the more information, the better the list, the better the click-to-open rate, it is a simple as that. b- Segment the list: No email blasting to the entire list, the more targeted message to the most relevant segment of your list, the better the click rate, this is The Key. 3- Permission: Make sure to send emails only to contacts who have been authorising you to do so, via opt-in or opt-out , subscribe or unsubscribe process. 4- Integrated, multi-steps campaigns: Integrate your email marketing with your others marketing tactics – web site, advertising, SEM, events, etc- and build multi-step campaigns, not just a one shout email. 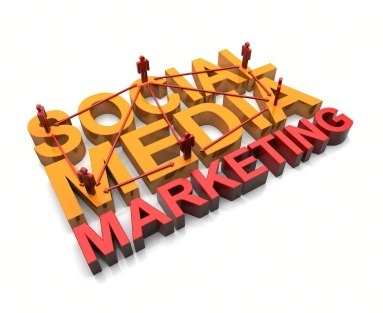 And more specifically link your email campaign to your Social Media activities. a-The Subject line is very important and has a huge impact on the click-to-open rate. b- Personalised address: Address the recipient with its name, so it does look to much as mass marketing, and recipient feels respect and relationship. 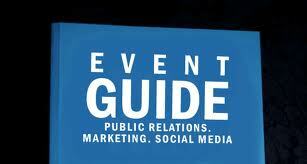 c- Ensure the clarity and relevance of the message, make sure it is useful to the targeted audience. e- I will not go into details of the classic tips as misspelling, acronyms, signs, triggers/spam words to avoid, abuse of capitals letters, colors etc as it is of course basic but also important. f- Use the same font and size throughout all the email. 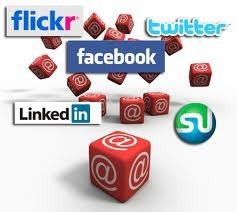 g- Include links to your web site, your blog and to your Social media accounts (Twitter, LinkedIn, Facebook…). 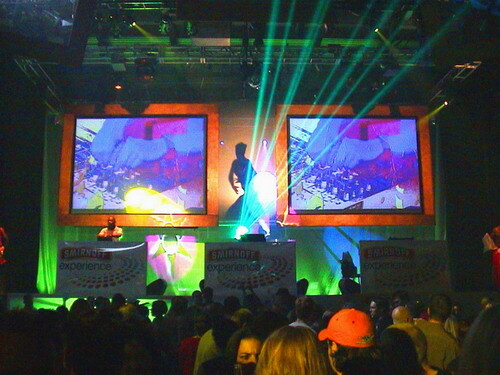 h- Include Multi-Media, Audio, Video, Flash, Interactive, Game… to make the message more attractive, entertaining and memorable. i- Ensure links, logos, image etc display properly. j- Propose to forward the email to friends and colleagues (and measure forward-to-click rates). k- In the end, it must include a clear Call-to-Action. l- Provide the contact information (email address) of someone to contact as return email address. m- Include an opt-in / opt-out or subscribe/unsubscribe option. n- Have the email signed by someone real, possibly an executive. o- Email and html versions should be exactly the same. p- Use a plain text editor like NotePad or EText Editor for PC, or TextEdit or TextMate ffor Mac, do not use tools like Word, FrontPage, DreamWaver etc. q- Get the message tested and checked by several people before sending. 6- Consistency: keep a regular and consistent flow of email communication, without becoming annoying or overwhelming, but just enough to keep attention, be informative, be relevant, be helpful. Periodicity can be monthly, weekly or daily, depending on your audience. 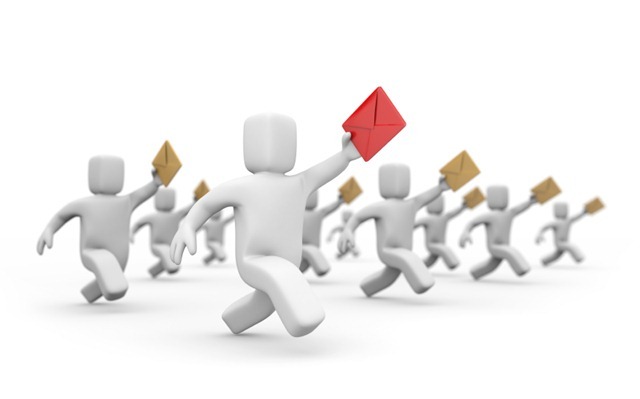 7- Delivery: Optimize the delivery process of your email, eventually hire a professional email service provider as they have specialised tools for that. 9- Follow-up: Create, document, implement and automate as much as possible a follow-up process, we call it –eNurtering, the quality of your follow-up is critical to your success. 10- Results Tracking: Define metrics and track and analyse results, possible using analytics tool. Build reports, document lessons learned and share the value. If well planned, integrated and executed, email marketing is a simple, easy, affordable, quick marketing tactic which will provide a Great Return On Marketing Investment (ROMI). Times are changing, business people tend to limit travel, marketing budgets are often decreasing and/or shifting from traditional marketing tactics as events, Web, Printed and TV ads, to new marketing tactics as Digital Marketing, Mobile Advertising, Virtual events, and Social Media, however in my view nothing can be more effective than a Face-to-Face contact, a real Live demonstration, an executive on site meeting to promote brand recognition, raise products awareness, generate leads and revenue and I do believe events still need to be part of an effective integrated marketing mix. 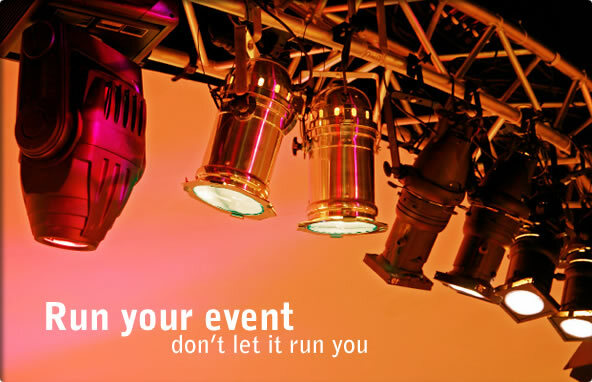 An Event is an expensive tactic and a lot of work but nothing can replace personal interaction and a high quality public exposure. Based on my experience at leading and managing many events all over the world, conferences, trade shows, road-shows, customers meetings, users or partners conferences, experiential events, Press and Analysts briefings, Fundraising events etc, I thought I would share a few tips to improve branding, generate more leads, optimize results and increase Return On Marketing Investment (ROMI). 6- Document a detailed communication plan (external and internal). 14- Set up an effective lead response management process, system and tools with a dedicated team to manage it. 24- Enter every contact and lead in the lead generation system (wireless badge scanners, business cards scanners, manual forms etc) with as much detailed information as possible to help the lead response team. 34- Document lessons learned for next event, there is always room for improvement. Now get on stage and Sell ! Latest Facebook announcement launching its new Geo-Location feature, “Facebook Places”, which will enable you to share with your friends where you are, check who is also there, find out what’s interesting to do around, read some tips from your friends about the place you are checking-in etc…was expected and is a major move. To me this announcement just emphasizes the importance of Location-Based-Services (LBS) for online advertising. Even if for now Facebook is not announcing, yet, mobile advertising capabilities for “Places”, I am sure they plan to do it in a near future as it is such a big market opportunity for local businesses. In my mind, there is no doubt Facebook is running after competing Location-Based-Social-Network-Services (LBSN) as Foursquare, Gowallas, Brightkite and others Yelp leading that space for now, and when you know that “Places” will include Localeze directory of 14 Millions local business listings, that people will be able to share and consult on their mobile Facebook, and when you have Facebook’s 500 Millions users base, (and just a few Millions users for Foursquare and Gowallas) it’s easy to figure out who is going to win that battle, and grap the advertising business opportunity attached. Localisation is a critical addition to Facebook as it provides valuable contextual content to the already rich Facebook objects database. (Each action you take in Facebook, each information you add, each comment you write, each link you click on etc, become an object in Facebook database, what a mine of information for marketers, and how SCARY, isn’it!). With this new feature Facebook is moving from a basic Social Networking space for friends to a business-oriented tool for local businesses, and that is indeed a BIG business. This will also clearly position Facebook to compete more and more with Google. Any Marketer dreams of reaching customers where they are, where they can buy their products or services, and that is what Location-Based- Services enable them to do, by pushing a targeted and localised online ad to the consumer on his device, nothing can be more efficient, this is Powerful Next Generation Marketing, as we conceive it at MarCom-NeXt. Latest Mobile Marketing Association report shows that Location-based mobile ads outperform all other formats, with nearly 50% engagement rate. LBSNS intensifies the relevance between social networking and geographical location. By dint of check-in record and behavioral responses in different geographical positions, LBSNS users can generate corresponding relationship with local enterprises, which enables the local enterprises to identify targeted consumers and improve the correlation degree and accuracy of advertising service so as to raise the value of local advertisement marketing. So, how big is the business opportunity? May be not huge right now, the local advertising market of LBSNS shows a promising development outlook, but this market is still in the early adoption period and it will grow quickly and expand from US to Worldwide. 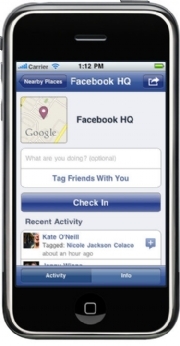 Facebook and Twitter access via mobile phones has grown by triple digits in the last year. Facebook advertising revenue forecast from advertising is around $1.3 billion in 2010, and $1.7 billion in 2011, and has not yet penetrated the Mobile Ad market, which they will do with “Places”. Google generates 90 percent of Google’s revenues with AdWorks advertising. 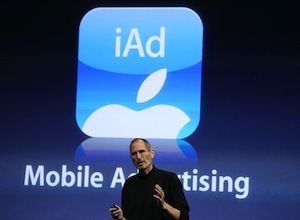 Apple with its iAd platform Apple required its first advertisers to spend as much as $1 million to start and pay both a $10 Cost-Per-Thousand (CPM) and a $2 Cost-Per-Click fee (CPC). Please note: Apple announced last week that it’s winding down Quattro Wireless, the ad network acquired earlier this year, to focus on Apple’s iAd program. Location-Based-Services once integrated via APIs to services as Facebook are going to change the Internet over-all, as the internet will become “less about the searching and more about the getting“, less about Search Engines and more about Apps, which is why Google may be starting to worry.